Are you looking for information on younger onset dementia?" *The dementia Australia NSW blog *Younger Onset Dementia and ME* is a place for people to connect with others, to get information and helpful suggestions. 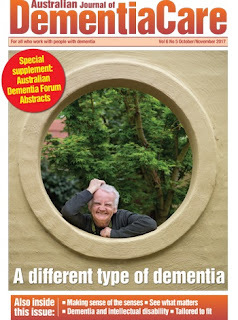 A diagnosis of younger onset dementia can be very isolating. You may have received a diagnosis, be someone who is caring for a family member, or you may have a mum or dad with younger onset dementia. You are not alone. The National Younger Onset Dementia Key Worker Program provides individualised information and support to improve the quality of life for people with younger onset dementia and also see NSW - Younger Onset Dementia . For more information contact the National Dementia Helpline on 1800 100 500. 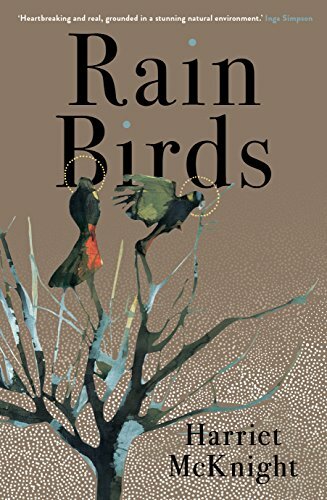 "I have just finished reading 'Rain Birds' by Harriet McKnight. I really enjoyed it, and could relate well to the carer - Pina - in the novel. I appreciate your observation along the lines that sometimes we can get more from fiction than reading a biographical /autobiographical account." 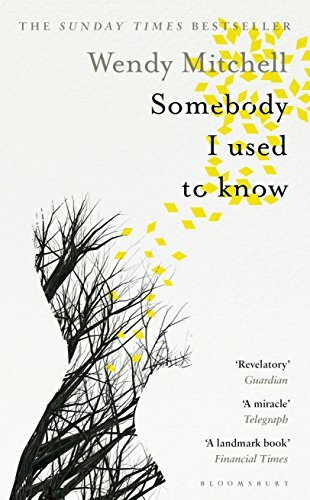 Philosophical, profoundly moving, insightful and ultimately full of hope, Somebody I Used to Know gets to the very heart of what it means to be human. A phenomenal memoir - it is both a heart-rending tribute to the woman Wendy once was, and a brave affirmation of the woman dementia has seen her become. Greg O’Brien, an award-winning investigative reporter, has been diagnosed with early-onset Alzheimer's and is one of those faceless numbers. Acting on long-term memory and skill coupled with well-developed journalistic grit, O’Brien decided to tackle the disease and his imminent decline by writing frankly about the journey. O’Brien is a master storyteller. His story is naked, wrenching, and soul searching for a generation and their loved ones about to cross the threshold of this death in slow motion. On Pluto: Inside the Mind of Alzheimer’s is a trail-blazing roadmap for a generation—both a “how to” for fighting a disease, and a “how not” to give up! Emmy-award winning broadcast journalist and leading Alzheimer’s advocate Meryl Comer’s Slow Dancing With a Stranger is a profoundly personal, unflinching account of her husband’s battle with Alzheimer’s disease that serves as a much-needed wake-up call to better understand and address a progressive affliction. When Meryl Comer’s husband Harvey Gralnick was diagnosed with early onset Alzheimer’s disease in 1996, she watched as the man who headed hematology and oncology research at the National Institutes of Health started to misplace important documents and forget clinical details that had once been catalogued encyclopaedically in his mind. With harrowing honesty, she brings readers face to face with this devastating condition and its effects on its victims and those who care for them. 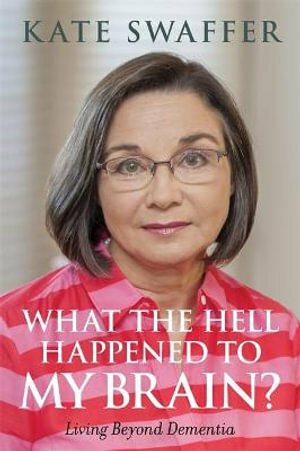 Detailing the daily realities and overwhelming responsibilities of caregiving,Comer sheds intensive light on this national health crisis, using her personal experiences—the mistakes and the breakthroughs—to put a face to a misunderstood disease, while revealing the facts everyone needs to know. Many know Kimberly Williams-Paisley as the bride in the popular Steve Martin remakes of the "Father of the Bride" movies, the calculating Peggy Kenter on "Nashville," or the wife of country music artist, Brad Paisley. But behind the scenes, Kim’s mother, Linda, was diagnosed with a rare form of dementia that slowly took away her ability to talk, write and eventually recognize people in her own family. "Where the Light Gets In" tells the full story of Linda s illness called primary progressive aphasia from her early-onset diagnosis at the age of 62 through the present day. Kim draws a candid picture of the ways her family reacted for better and worse, and how she, her father and two siblings educated themselves, tried to let go of shame and secrecy, made mistakes, and found unexpected humour and grace. Ultimately the bonds of family were strengthened, and Kim learned ways to love and accept the woman her mother became. With a moving foreword by actor and advocate Michael J. Fox, "Where the Light Gets In" is a heart warming tribute to the often fragile yet unbreakable relationships we have with our mothers." 2. Access to services – lack outside working hours..
Children’s book for kids, teens and other with a parent with younger onset dementia - all by Australian authors! This is a children’s book for kids with a parent with younger onset dementia. Jack is 13 years old. He lives with his dad, mum, sister Amy and dog Sam. Dad has dementia. Something isn’t right in daddy’s brain and Jack can help him to do things. This kids’ book tells the story of Jack whose father lives with younger onset dementia. 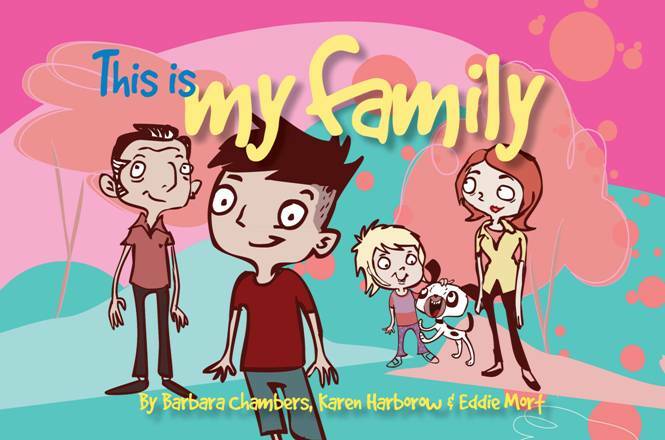 An engaging tale for any child who knows a younger adult with dementia, it has been written by dementia care specialists, Barbara Chambers and Karen Harborow, with characters by renowned children’s animator Eddie Mort. 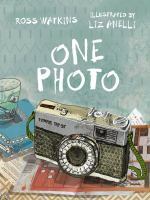 Told in wonderful prose, with really poignant artwork, this book is a celebration of what we hold dearest- while losing so much... is an illustrated book which explores younger onset dementia using the vehicle of photography and exploring family's legacy. *Regarding the illustrations - "Pictures enable children to explore the world within their own imagination and make connections to characters and events they see depicted in books. When you help children connect with characters and events, you make the book more real to them." When Dad comes home with a camera, one of those old cameras that takes film which needs to be developed, the family, Mum and their son, watch on. He seems to be taking photos of things which have no inherent interest. There are no people in them, they are of things and places around the house. Photos of his study, of the table at breakfast time, his coffee cup, the clothesline, the bus shelter. He takes roll after roll of film to the developer in the city, bringing the photos home to stick on the window. They find that he has put things in the cupboard that shouldn't be there, and puts the hammer in the fridge, so the reader begins to understand that this man is showing signs of dementia. More photos appear, until one day he comes home without the camera. Then he is no longer there. The illustrations are wonderful, showing the family in their house and all the things which will remind them of their missing father and husband. All around the house are things which he used and the photos of things important to him alongside the photo of him with his family. It is receiving great reviews (https://www.booksandpublishing.com.au/articles/2016/07/05/59296/one-photo-ross-watkins-illus-by-liz-anelli-viking/) and already the rights have been sold by Penguin for it to also be published in China, US and Canada. Given that I have a special interest in books featuring characters suffering from dementia and Alzheimer’s disease, I can confidently say that this is an excellent addition to the fictional literature on the topic. The use of a child character to address an adult issue is usually a sure-fire way to show a well-worn issue in a new light and that is certainly the case here. Foster is sharp as a tack when it comes to the realisation that life as he knew it is slipping away, but the social nuances of the adults’ behaviour go over his head. Many of the self-defeating actions of Foster’s mother are brought into sharp focus when viewed through Foster’s lens and I found it harder to sympathise with her as the book went on, despite the fact that she is obviously under enormous stress and dealing with her own issues of grief and the emotional and mental, if not phsycial, loss of a husband at such an early stage in life. I found Foster’s aunty to be a breath of fresh air through the whole story, maintaining, as she does, an unflinching sense of optimism. This optimism is clearly feigned at times, and even though Foster’s mother doesn’t appreciate it, it worked neatly to stop the reader from being sucked into the pit of despair along with Foster’s mother. 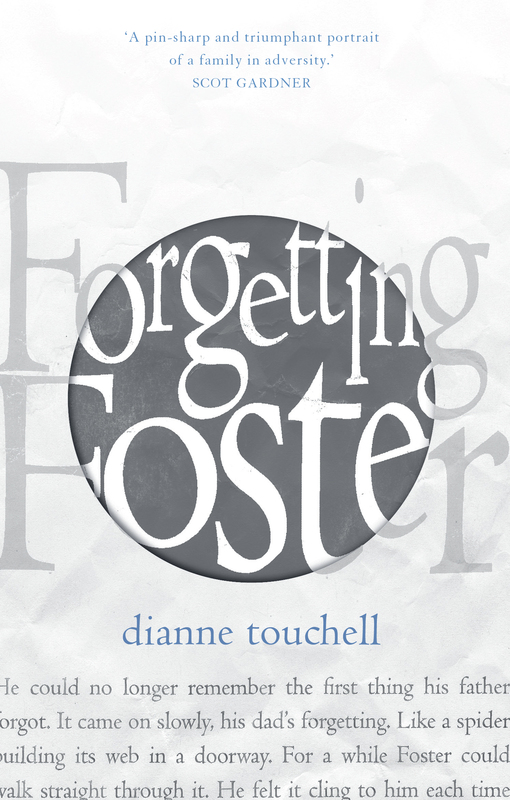 Forgetting Foster is certainly worth a read if you are looking for a contemporary novel that deals with grief, loss and confusion in an extremely accessible way – not to mention if you are looking for a cracking OZ title. For other readers looking for nonfiction reads on the same topic, allow me to suggest Green Vanilla Tea by Marie Williams (another brilliant Aussie tale). When Marie Williams' husband Dominic started buying banana Paddle Pops by the box full it was out of character for a man who was fit and health conscious. Dominic, Marie and their two sons had migrated to Australia to have a life where they shared more family time -- when gradually Dominic's behaviour became more and more unpredictable. It took nearly four years before there was a diagnosis of early onset dementia coupled with motor neurone disease. Marie began to write, as she says, as a refuge from the chaos and as a way to make sense of her changing world. Her book, Green Vanilla Tea, has just been named winner of the Finch Memoir Prize. 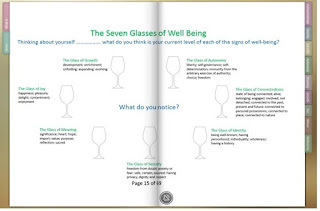 This interactive e-flipbook includes film clips that cover difficult topics such as inappropriate sexual behaviour and apathy. It includes work book questions and interviews with Bernie McCarthy and Allen Power . it is largely about YOD but covers dementia really well . This literature review focused on the experience, care, and service requirements of people with younger onset dementia. Systematic searches of 10 relevant bibliographic databases and a rigorous examination of the literature from nonacademic sources were undertaken. Searches identified 304 articles assessed for relevance and level of evidence, of which 74% were academic literature. The review identified the need for (1) more timely and accurate diagnosis and increased support immediately following diagnosis; (2) more individually tailored services addressing life cycle issues; (3) examination of the service needs of those living alone; (4) more systematic evaluation of services and programs; (5) further examination of service utilization, costs of illness, and cost effectiveness; and (6) current Australian clinical surveys to estimate prevalence, incidence, and survival rates. Although previous research has identified important service issues, there is a need for further studies with stronger research designs and consideration of the control of potentially confounding factors. Are you a voluntary carer of someone with Young Onset Dementia (YOD)? Understanding your needs, quality of life, and how you may adapt to changing circumstances is critical to informing policy, service development and delivery, to better support you and those with YOD. 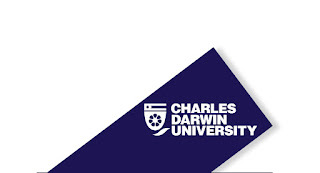 Charles Darwin University is looking for people to take part in an anonymous, online survey, to explore the experiences and needs of carers of people with YOD. It is expected to take approximately 25 minutes to complete, offers little to no risk to you, and you can withdraw at any time during the survey. complete, offers little to no risk to you, and you can withdraw at any time during the survey. Dementia advocate Kate Swaffer has been named South Australia’s Australian of the Year for helping change the way the world looks at the disease. Swaffer was diagnosed with dementia just before her 50th birthday in 2008 but she refused to be defeated by it, instead striving to improve the lives of those who live with the disease. She is the co-founder and chief executive of Dementia Alliance International, a non-profit global body that represents people with dementia and fights for individual autonomy and inclusion. Since her diagnosis, Swaffer, from Wattle Park in Adelaide, has completed three degrees, written several books and has begun studying for her PhD. 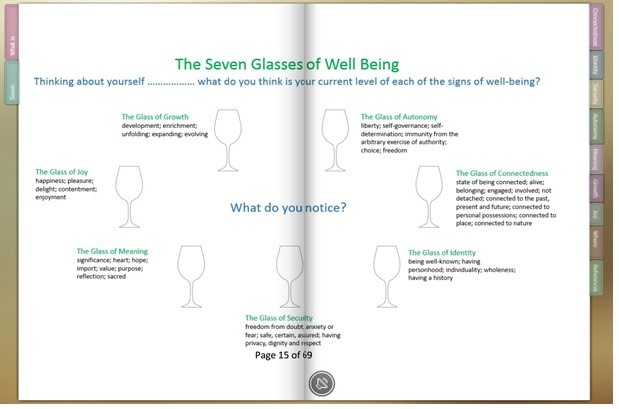 So Kate has made this book more than you or I could have ever imagined – she not only opens her [still-remarkable] mind to offer her vast knowledge and caring spirit, she also provides over thirty chapters with practical answers your questions on living – and I mean really living well and beyond – dementia. Keep a pencil or highlighter handy; you’ll want to take notes and share these words! 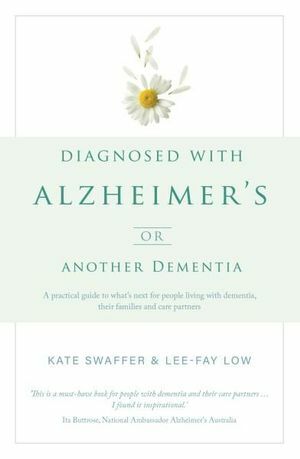 This book explains the stages and symptoms of dementia, how it affects the brain, and how it affects the person and their families. It is a comprehensive guide to understanding and living with dementia - what to expect, what services may be required, how to cope with day to day challenges, etc. It describes current treatments and ongoing medical research, and will include first hand experience from people diagnosed with dementia, and will talk about what it is like living with Dementia. or ring 02 9888 4218 and we can explain how to become a contributor.